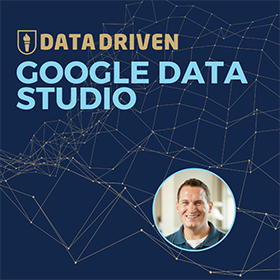 Last month I had the opportunity to interview Krista Seiden from the Google Analytics team for the podcast. Today we are sharing the transcript for that podcast for those of you who prefer to read interviews. Jeff Sauer: Hello and welcome to the Jumpstart Podcast with Jeffalytics. I’m your host Jeff Sauer. Today for our second episode, we will talk to one of the rising stars in the analytics community Krista Seiden. For those of you wondering where I am at the moment, this intro is being recorded in Sydney, Australia. The podcast would go live when I’m flying somewhere over the Arabian Peninsula. Krista Seiden’s been on a quite a journey over the last couple of years. She sat down with me where we talked about her journey from being a pre-med major in college all the way in chancing upon a job in the world of web analytics. From there, Krista has taken the industry by storm. As analytics and evangelist for Google, she reaches millions of customers world-wide and with her education and outreach programs. In 2014, Krista was named the Rising Star by the Digital Analytics Association. Then in 2015 as an encore, the Digital Analytics Association named her: “Practitioner of the Year.” I first met Krista a year ago. Since then, we’ve had the opportunity to speak and meet several times. It’s easy to admire Krista for her contributions to the industry but I came way most impressed by her decision making process and the direct nature in which she’s been able to progress her career. If you’re not sure what direction you want to take your career, you should definitely listen to Krista’s story for inspiration. 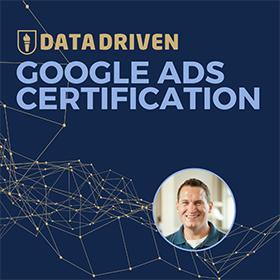 We’d learn how to advertise profitably on Google, we have a solution for you – Introducing PPC Course, an online video class that will take you from zero to Google Certified in as little as 30 days. Top by me Jeff Sauer, I’d show you how to create profitable, business opportunities through Google Search Ads. Check out www.PPCCourse.net for more information. While we’re at it, I wanted to thank you all for the positive feedback you’d left me on our first episode where we interviewed Rand Fishkin. I know I learned many things about Moz that have rarely been talked about publically and I’m sure you learned quite a few things as well. If you want to support this podcast, please do leave a review in iTunes. If you leave a five-star review, I might just read it on the air. I really want to get the ball rolling and get people to know about this podcast. So anything that you can do to help would be great. Now on to the main event, let’s talk to Krista Seiden and learn about how she found passion in a world of analytics. You can view the show notes from our podcast by going to www.Jeffalytics.com/Krista. Hey Krista! Thanks for joining us on the podcast. What was the first time that you remember that you ever got somebody interested in what you have to say as far as whether it’s something you were trying to get people to purchase or if you’re just getting somebody interested in the cause that you’re interested? Do you remember back the first time you realized that you had a gift? Krista Seiden: When I was at Adobe, I became fairly interested in dashboarding and making kind of a story out of the data that I was seeing and what are business unit was doing. I remember going to this training for Xcelsius which is a dashboarding software. I kind of wanting to pull my hair up because it was pretty difficult and the things that I wanted to do, I had to learn how to do – age lookups and view lookups. All of these different things make sell which wasn’t at the time kind of a skill that I possessed. I kind of that point realized how powerful data visualization and story-telling through data visualization could be. I was kind of that first little nugget that got me even more interested in marketing and marketing analytics. Jeff Sauer: That’s great. That’s a really powerful story. So you’re just basically, you sort of getting started on the job and you want to do your best and you did that. You’re able to get all the way to the top. That’s amazing! I can see how that can really work to peak that curiosity. So from that point on, did you just decide this is analytics and this area is my area focus or are you already focused on that before then? Krista Seiden: I wasn’t really focused on it before then. That was kind of my first foray into it. I knew that I was sort on the data visualization and the story telling but I actually was in completely sold on whether or not I wanted to make analytics my core focus in the next several years. Actually, I remember sitting down with both of my boss and another woman who I worked very closely with. She was much more senior than me at the time while I was at Adobe. Having conversations about kind of where I wanted my career to go and whether or not I wanted to focus on analytics. Both of them identified that they’ve thought that I was really good at where I was doing and not that I could see this being a career path for me. I think that I when I found some both of them actually was that, I wasn’t sure if I wanted to be pigeon-holed into analytics as a career. I worry that if I’d focus so much on right now that I might not have other options in the future. So fast forward several years, I think it’s probably a really funny conversation now. Jeff Sauer: Yes. Well, I think that’s a really good point to make. Though, I have the same reservations actually. We have a pretty similar background in working with data. I knew that there was a need for it. I knew there were opportunities but I also wasn’t sure that it was my long-term solution because of a few things. Could I stay up to date with the technology? Did I want to do that? Was that where the jobs where going to be? Was that where everybody was going to be focused on? So I think that it’s a common thing for us to question whether these are areas that we should be focusing on or not. For me, I took some time off from doing database, marketing and analytics for several years learning other things. Then I came back to it in the end and realize that it is something that can grow pretty much infinitely with your career path. Krista Seiden: Yes, I definitely agree. I remember my boss at the time trying to convince me that: “He was looking into the future and could see the analytics industry growing infinitely and that there was going to be a huge career path for me there.” All these years later, I would very much like to thank him for that advice. Jeff Sauer: That’s great! It sounds like you had some really good mentors when you’re at Adobe that helped you get into this area. So I’m curious though because looking at your college experience, it doesn’t seem like it wasn’t in analytics. So how did you make the transition from going to school for economics, political science that type of stuff; how did you transition into it deciding to get that first job in marketing in the first place? Krista Seiden: Definitely it’s not something that I even knew about let alone focus on in college. I actually started college as a molecular and solar biology major. I thought I was going to be pre-med and become a doctor. That was short-lived once I took first semester chemistry and realized how hard it was. So I changed to Poli-Sci and Econ as a double major with a focus on business. At that point I actually thought that I was going to politics. I really enjoyed politics. I interned in Washington DC. I really loved that world. But coming back from an internship and kind of facing the prospects of going out into a real world, I was faced with a decision of whether or not I wanted to kind of move to DC and try to find a job. If I wanted to stay in the Bay Area and doing that politics, probably I wasn’t going to be my focus. Then I decided that I did want to stay in the Bay Area. In that time, we were just coming into a financial crash or the early signs of it. The job market was pretty tough. There weren’t a lot of jobs out there. I remember applying to probably a 100 different jobs as I was graduating college. The very first job that I was seriously interviewed for and got an offer that I took. That happens to be in finance for HSBC, working on a fixed income trading desk. They thought my economics background was fairly applicable there. It’s wasn’t a passion of mine. I was working market hours in San Francisco. So I was at my desk at 5:30 every morning and it just wasn’t the work. I was there for at 5:30 in the morning wasn’t something that I felt passionate about. I think that’s really important. I think there have been many times since then where I have been at work at 5:30 in the morning to push through a big lunch or to work on a big meeting. But it was a much different feeling because I was passionate about what I was doing. But to make a long story short there, I did end up getting laid off from that job with the financial crash in early 2009. Again, I was applying for many, many jobs and was lucky enough to land a job at Adobe as a business and marketing analyst. That’s kind of how I made that transitioned from finance with an interesting political science and even before that molecular and solar biology background ends in analytics. Jeff Sauer: Wow! That’s a great transition. Just looking at my own story, it’s very similar. I graduated in the down market as well. At 2003, there were no jobs available. I took the first job that called me back because that was what I needed to do at that time. I realize that it wasn’t end all be all. But sometimes you just have to take something in order to be stable. Then you really can grow into things. Krista Seiden: It did for sure. Most people don’t ever find themselves lucky to have been laid off. But in this case, I really do consider myself lucky because it was a career change that I hadn’t planned on at the time. But I’m very, very thankful that I made it. Jeff Sauer: Yes, so let’s talk a little bit about that job at Adobe and just how it helped you along the way in what you were able to do. So you’re a business analyst and then, how did you grow throughout that organization? What was the timeline that you were able to move along? Krista Seiden: So I was at Adobe for two and half, closer to three years. My first 6 to 12 months there, I was really more on the business analysis side of things. I worked on a business operations team for at the time what was called the: “Business Productivity Business Unit.” I’m just naming of their business units over there at the time. But it was basically the second biggest business unit at Adobe behind the Creative Suite. So the Creative Suite was the biggest business unit and the one that I’ve worked for was responsible for Acrobat and LiveCycle and Adobe connect and I feel their pieces of enterprise software. Krista Seiden: Then I was really lucky and fortunate in that world to be working for somebody who is on the director level and who really put a lot of faith in me from Day One. So from Day One, I was doing business analysis type of things. But my director was so incredibly busy with everything that he was doing that I ended up getting sent to many meetings on his behalf where I was sitting in meetings with senior directors and VPs from other business units representing the second largest business unit. At Adobe, I was a junior analyst and to have that faith be put in me – it was an amazing feeling and kind of really give me the ability to have visibility within the company. That’s how I kind of grab into that dashboarding program that I mentioned earlier where I ended up creating the dashboards for that business unit. I wanted to remove a lot of the in-between of having to talk to so many people to get these numbers. So I went to a web analytics team at the time. I said: “Hey! Teach me how to do this. That way I don’t have to come to you every month for this.” They are more than happy to do that. They taught me how to pull the reports and what to look for. That was kind of the beginning of my interest in on my journey in analytics. Then I was fortunate enough to actually be at Adobe while they acquired Omniture. So by the year after, I started there, they acquired Omniture. At that point, all of the trainings that Omniture offered became free to Adobe in place. So I was lucky to be able to take every course that I wanted to on Psych Catalyst and discover and test in target and implementation. I really dove in and focused on scaling at my tool set there. Then, I was given the opportunity to move over to the acrobat product line and use the skills that I had gained over the previous year and a half and focus solely on web analytics. So that’s then what I did. So knowing that you’re being fortunate enough to find a company that was growing but also had somebody people, working on so many things that they were able to trust you with some major projects right away. It’s a really good place to be. But I think a lot of people find themselves in that situation. They’re not sure whether they can take initiative or not. So how did you balance being the new person on the block for the most part? Just a couple of year or so into the job and then doing these ambitious things that a lot of people wouldn’t become comfortable doing. Were you scared? Did you think this is not the right thing to do? How did you manage that? Krista Seiden: Yes, I think it was a combination of a couple of things. I’ve always been kind of an ambitious person and aggressive winner. So when I found out that these courses were available, I did everything in my power to get my best to say: “Yes.” To allow me to take the time to go to these courses as well as finding space in the available courses because that was also difficult. He said: “I see that there is interest here and while you may not want to be pigeon-holed into this, I think this is an area that there’s a lot of growth potential here for you.” As much as he didn’t want me to leave his team, he thought it was good for me and my career to go ahead and focus all of my efforts in time on that project. So he had kind of a six-month transition period where I kind of moved over from his team to the Acrobat Product Team to learn analytics to cross all of their Cloud offering. I’m just curious as to your motivation just to help understand for others how do you approach this because this is not something that you hear every day and that somebody is able to do? Krista Seiden: Totally. So every time that I have change jobs in my career, I question myself if this is the right thing to do, if this is the right time, if I’m making the right decision. So moving from a more of a business analyst role to a web analytics role, I definitely question that. Again, I just wasn’t sure that I wanted to make that my full time career – that I was excited by the opportunity and interested with data and the tool set and the story-telling. I was also kind of afraid to leave that first team out of Adobe yet. My first place that I really felt comfortable in a workplace being so young and new to the industry – that was also kind of a big moment for me to kind of move on from the mentorship that I had in that original role. So I think those are two things that I very much question and pondered and talked with my boss at the time. My former boss there, I had two bosses in that role who I consider them to stay team mentors of mine. When I talk to people outside, parents-friends and know I was able to come to terms with wanting to explore the analytic side of things a little bit more and that made me feel comfortable enough to go ahead and move on over and make that my full time role. Jeff Sauer: That’s great! I was going to ask you: “It sounds like you had some amazing internal mentors.” That’s the best type of leadership. The best type of leader is somebody who realizes they have a talented person in their team but actually will let them go and do more things because they realized their talents can be much more useful elsewhere. So you had some great internal mentors. But then it also sounds like you had a strong network as well outside of that. So that’s really important because I know that a lot of people that are looking into getting to digital marketing, they might not have a direct advocate in their organization. They might be in an organization that they feel is a dead end. So it’s great to know that you pursued people outside of it. Krista Seiden: Yes, I think it’s really important and actually heard somebody say this last week and I couldn’t agree more. It’s great to have that two-way communication but you can also use people as a lamp post to look to and understand their career and how they’ve moved through various roles – the paths that they have taken to get to where they are today. You know reading up on their blogs and if they have published books or their social presence. All of that stuff helps to kind of inform you and help you build an idea of potential career paths. Krista Seiden: I think that’s great. Jeff Sauer: That’s exactly what I have to do. A lot of time even today as I find myself you know I’m established where I want to be right now. But I think that I always had to learn from the people and learn their stories. That’s part of the reason for this podcast is really to share that and to have it in one consolidated place. Here is Krista’s story which I think is really unfolding really interestingly to see how it happened. One comment for the listeners on concept of evaluating whether a move is the right move or not, I had dig the exact same things. So I put together a matrix. This is 10 plus years ago between the pros and cons of staying in an independent contractor or to join the company that I ultimately ended up joining. I put down financial – my own personal freedom those types of things in a matrix and just I said: “I think it’s a better move to go with the agency because of all these different things and I talked over with my father who is a really good mentor to me as well.” We went through that process and we’re able to determine that it was the right move to make and I still stand that it was the right move. It was one of those things where I was scary. It was a lot less comfortable to do that – to do the new things than it is to stick with where you are. So I applaud you for that. Excellent! So let’s keep going through the journey. So you were at Adobe and then you were on Acrobat Team. You’re heading up all the Cloud Analytics and then what made you keep on going from there? Krista Seiden: I ended up taking a call from a recruiter. Out of curiosity, I wanted to hear what they had to say and how a couple of interviews – one with a consultancy and one with the company I ended up moving to which was the Apollo Group. At the time, I wasn’t actually looking to leave Adobe or to move away. I loved what I was doing there at the time. Not only was I running analytics for the Cloud Products of Acrobat but also for the previous six months had been fortunate enough to work closely with the Omniture Business Unit. I’m helping to design and build out their first iteration of their social analytics tool. That was incredibly rewarding for me. Something I hadn’t done before which was work on product and work with engineers and product managers. So it’s an incredibly cool experience. Then this phone call came and I was really torn whether or not to even engage and I think many people kind of go through this and they get a call from a recruiter – that sense of loyalty and excitement for what you’re doing versus what are the other options out there. So I ended up getting offers from both of the companies that I interviewed for. To be quite honest, it was one of those things where it was just kind of too good of an opportunity to turn down. So I ended up talking with all of my mentors once again including two of my former bosses at Adobe. So again it was kind of that, I wouldn’t say push out the door. But it was that acknowledgement that I had grown and learned as much as I probably was going to learn in that role and not there were other opportunities out there at the time that I could probably get more out of. So I applaud my mentors and former bosses at Adobe for taking that stance and really having my future and my career ahead of their own needs at the time. Jeff Sauer: Yes, I would give them credits as well. I think that-that’s the right thing to do. From a management perspective and I applaud them from making that. I’m curious that this is one move and then you are also applauding out the next move after that. Did you have an idea in mind as to what you would be doing after that? Krista Seiden: I didn’t have an exact idea. I knew that it would probably stay in the road probably good for one or two years. Then see what other opportunities were out there. But I knew that where it would go from there, it would be a significant staff from where I’ve been. I was thinking down the line to potential other companies and actually wouldn’t have type Google on that three-year plan at all. That was another little twist in the story. But yes. I think you always have to think one step ahead when you’re looking at the next job. Jeff Sauer: Yes, absolutely. Well, then we got to get into this twist. I’m dying to know how this twist came about and maybe a little more about that. Krista Seiden: Sure. So I think ultimately, I think leaving Adobe and going to the Apollo Group is one of the best things that I could have done for my career. But I didn’t really love what I was doing there. I didn’t find it as fulfilling as I had found the work at Adobe. So I knew pretty earlier on in my time at Apollo that I was going to spend around a year there, learn as much as I could. Scale up my skill set around Google Analytics which there was their main tools on this core metrics. I have the opportunity to work on social analytics and mobile analytics which was a really exciting area for me. Specifically, I’m in the mobile analytics where I got also deal with a lot of [inaudible 00:22:43] studies and help tie together qualitative and quantitative stories. So I knew all of that was really exciting and that was a skill set that I wanted to learn and internalize as much as possible. But the environment and what I was doing overall just wasn’t really a good fit for me. Krista Seiden: So about nine months into that role, looking ahead to that one year mark – I started to see what else was out there. So I was talking to few people and I’m talking to few companies and then I got a call from a recruiter at Google. I actually was not a call that I wanted. I had no interest at the time to go work at Google. Actually, I told the recruiter that and I said: “Hey! You know thanks for calling but I’m not interested.” But I’m obsessed on. Then I proceed to get multiple e-mails and several more phone calls from this recruiter. She got really sneaky. She ended up calling me from her personal cellphone which is a different area code so you didn’t realize it when I pick up the phone. When she got a hold of me she said: “Just hear me out.” I said: “Okay.” She explained the role to me and explained the opportunity and it turned out to be really appealing to me. That was to go run and you know it’s an optimization organization for the Google Apps for business group – so basically an internal practitioner role at Google, responsible for a couple of key pillars. So a high level of dashboarding, recording to key stakeholders, GA implementation and then scaling up and AB testing and optimization for them. Then there was also the possibility of scaling that how into a team of a couple of junior analysts and moving up into more of a management role. Just a longer term possibilities there looked very appealing from the outside. So despite the fact that I had initially been interested in Google – that became my number one interest as I was interviewing. So that’s kind of the twist there. Jeff Sauer: Interesting! I’m just curious. Did you ever hear later on about how they targeted you to the point where they were that persistent? Because I think that a lot of us would love to be having Google breathing down our necks. Krista Seiden: I did hear and I was incredibly honored to have been thought of by this person. But essentially it was somebody in the industry who I look up to and actually as I was interviewing for this job and interviewing for another at a company that he used to work for. I was pinging him, asking for an advice as a mentor figure kind for which way should I go. So I found out, several months later after I had taken the Google job that this person who’s not at Google had in fact recommended me to a friend of his on the Google Apps business team – who had let them know that he was looking for somebody who’s really strong in these areas. I couldn’t believe. It kind of my luck I guess in that area. But that all came down to networking and to really fostering, mentor-mentee relationship with somebody that I looked up into in the industry and that’s how this opportunity came about. Jeff Sauer: That’s a great story because that’s what I tell people all the time. They should be doing especially my students in class. I don’t know. I see it connects. So how did you approach this person? How did you go about that? I’m just curious. Krista Seiden: So this is a person that I’ve known for a few years in the industry just through Twittering and then eventually through friends. He works for a major consultancy that I’ve done business with in the past. He was just somebody that I really looked up to and respected as an authoritative figure on analytics. So I had kind of had conversations with him over the years at conferences and on Twitter a little bit. When it came down to it, I was like: “I had to e-mail this person and ask them their thoughts on this two opposing roles.” Then it just so happen that he had been the one to recommend into the role that I ended up taking. Jeff Sauer: That’s great! So the timeline of this experience is not and I think a lot of people expected networking as something that’s going to give them results like tangible results in the next two months or three months. But this is something that you’ve been networking in like when I talk about networking, it’s really just getting to know people. It’s getting to understand who people are on your industry and forming relationships. It’s not always about getting results out of it. But over the course of several years, by doing the networking, it’s resulting in more opportunities for you and the ultimate opportunity for you as well. Krista Seiden: Yes. I mean I probably only had a real conversation in person with this individual eight – ten months before I ended up getting this recommendation. So probably, I don’t think I met him in person and tell them I was at the Apollo Group already. But I had known him through other through groups for the previous couple of years. Jeff Sauer: It’s great. So start your networking now. Start planting needs as I call it because eventually that’s going to come to your benefit. “The more you do, the more options you have in the future.” That’s my advice to everybody out there. Jeff Sauer: Great. This is a question I’m curious about. How has location factored in your journey? I’m sort of fascinated by this sounds like you’ve been in the Bay Area from schooling and then you’ve been in the Bay Area the whole time. Is that been a pretty vital part to what you’re doing here? Krista Seiden: Yes, I do think so. So I grew up in the Bay Area in the Greater East Bay Area as I like to call it. Some people call it The Sacramento Valley. It’s a small town call back to them. But it’s only an hour from San Francisco. So this has been kind of my home my whole life. But I really do think like I have gone to UC Berkeley and then move to San Francisco. This is really a tough cab. There’s a lot of opportunity here. I do think a lot of the big tech companies’ look to hire people who are coming out of schools in the Bay Area because they’re kind of just ingrain with this tech culture from the get-go. Jeff Sauer: Yes, absolutely! That even does create certain opportunities. I think if you’re looking to get in to marketing, there are certain hubs where there’s a lot of need for marketers and a lot of opportunities there. But I think the other thing that’s nice is that: “If you’re interested in it, you can sort of hone your skills anywhere and then location is important in certain cases. In some cases, I think it really doesn’t matter as much.” It really just depends on the situation. But it sounds like I mean obviously the company that you’re working with our based in the Bay Area. So that’s a really important piece of that part of the puzzle. Krista Seiden: For me, it has been. That I would echo your thoughts that you can get into this industry anywhere and I have many friends all over the United States, all over the world who do this better than I. This is a skill set that you can take on the road with you pretty much anywhere you want to go. Jeff Sauer: Yes, absolutely. This is not only is it location independent. I think the ability to a good analyst or a good analyze and to have critical thinking skills, I think it’s a timeless skill as well. It’s something that no matter where you are in your career and what time it is, the ability to analyze behavior into really get to know why these things happen and then to improve it and to make improvements for an organization – we all need that. Everybody needs that. You’ve been able to move on from Google. That sort of where I got to know you a little bit was when you are in the role at Google Adsense and I’ve just seen you blossom into New Comer of the year for the Digital Analytics Association, Practitioner of the Year. It’s really cool to see your rise and the opportunities that are there. How did you prepare yourself for this? How do you stay current? How do you stay involve? How do you keep on learning? Krista Seiden: So I think that’s a great question. I’m kind of going to take you back to basically my first day or my first week at Google to answer that question. So I’m on my second role at Google now. I’m the Analytics Advocate for Google Analytics. But the first role was where I came in to lead that analytics optimization program. When I came in, I was a team of one. 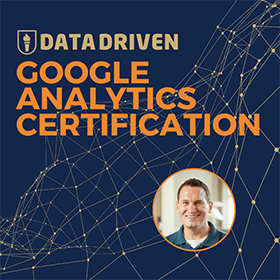 I very, very quickly realized that: “There was nobody else in the marketing organization that I was working in that really understood how analytics work, how Google Analytics in particular worked from a technical perspective.” I was never that technical of an analyst. I was very good at diving into the UI of the tool site and pulling data in making a story, exporting it to Excel or Google Spreadsheet. But I’d never really been on the implementation side. I guided implementations. I given my specifications but I’d always handed that off to a developer or more technical person. But I didn’t have that when I came to Google. I was that and I was expected to be both goals. So basically, I’d say for the first couple of months of my time in Google, I spent hours and hours learning some basic Java Scripts and some basic coding as well as just implementation best practices. I scour the Blogosphere and Twitter and started following a bunch of people who I knew were great implementers and great technical analysts and really just learn from other people. So when I told you that: “I kind of have found mentors that I don’t really know that they’re my mentors.” I consider many people from Twitter to have been some of my technical mentors that I have basically have learned so much from. So it was really something where I looked at the job description and it didn’t quite match the reality of what I found myself having to do which was much more technical than I’ve expected. I decided that I was rather than running away and hiding. I just dive in and learn when I needed to learn because there was nobody else there they do it for me. I think it’s really determination. The research is out there. It’s having the determination to do it. Jeff Sauer: Yes, absolutely. I think that’s the really good lesson. So many people are afraid to just do it. I think that it’s really important in this industry this growing industry of digital marketing, the thing that’s happening and changing all the time. Sometimes things aren’t going to happen perfectly. In fact, almost every single time things don’t happen exactly how you plan it. So ultimately, it’s all about having those skills and that desire to get done what needs to get done. That’s where we get the best results. People just do the bare minimum; the results are usually not good at all. Usually, the results are very poor and so it’s all about doing what you need to do to get the best results. Krista Seiden: Definitely! A lot of people think that analytics and the technical side of digital marketing isn’t very a creative field. But I would definitely say that they are wrong. It’s the people that can get creative with the data and with the stories and how you’re pulling it altogether that really do succeed and blossom in this industry. Jeff Sauer: Absolutely. This is a question that I only feel comfortable asking you this because you’ve written about it as well. How are you impacted by being a woman in technology? Now I know you’ve written about this and I love your post so I’m going to share it on the show notes because it’s just a really fair balanced post. But how does that factor into this? Is that been a factor at all for you in anything you’ve done here? How does it impact you? Krista Seiden: Yes, so I would love to sit here and say that: “I don’t feel that I’ve been impacted at all by being a woman in a fairly male dominated in technical industry” but it’s just not true. I think that I’ve been impacted in both positive and negative ways. So in the positive side of things kind of, I’ll say that: “I think that I’ve had more opportunity than potentially some of my male counterparts career would have gotten because I stand out in the industry as one of the few women.” I have actually receive e-mails asking me specifically to speak at certain conferences or come to certain events because I’m the strong female speaker which I don’t really agree with and I’ll get to that in a moment. But the opportunities have been there for me because I am a woman. I think many of the times. On the folks that I did at it really has at times been difficult. There have been a couple of instances that I have actually happen to me recently where I just become very clear to me that I am seen not as a strong person in my industry but as a female in the industry or a strong female in the industry. With that come a lot of stereotypes around a woman’s role in the society. So you can read the blog post for more information on that. But I think my main thoughts and kind of takeaways for these are two-fold. When you’re considering them for a role or when you need a technical expert or a digital marketing expert, don’t say: “Hey I need a woman in this role. I’m going to look for a tough woman.” Say: “I need somebody with a great skill set.” That’s what you’re considering because I don’t need to be known as a strong female in the industry. I just want to be known as somebody who is good and skilled at what I do. I know a lot of times people are unfortunately scared to speak up when they are of minority whether that would be gender or race or any other. I think it’s a shame but I think it’s a knock on us to really stand up and be strong in who we are and what we can bring to the table. Jeff Sauer: I think everybody should know that you are a kickass analyst. Obviously, you went to the process of learning what you needed to learn. When the CEO of Adobe sees your dashboard, he doesn’t know who made it. He just knows that he sees a great dashboard, right? That’s the important thing here. Your boss and everybody that’s a mentor – the gender issue is very prominent in our industry absolutely. We shouldn’t deny that-that is not a factor that goes into this. But I don’t think that we should consider that a factor when it comes to the things that you’ve accomplished or the things that you have done here and I’m glad to hear you’re once again just did truly balance perspective. These are the things you need to do in order to have a great career. These are the things that you need to do in order to grow and in order to set your targets and to achieve what you want to achieve. So don’t take this with a bias by any means as far as the gender goes that shouldn’t really be a factor here. It’s all about somebody who came and did what they wanted to do and really accomplish so much. I’m really inspired by the story. Jeff Sauer: You know that’s sort of a heavy subject. So let’s lighten up a little bit here. Do you work on any side projects right now or anything to stay learning or do you mostly do your learning on the job? Krista Seiden: So I do a lot of learning on the job but one of the things that I love the most about my current role is that I actually get to be out in the market with a lot of our users on a very frequent regular basis. So as an analytics advocate for Google Analytics, I get to travel all over the globe to go to conferences, to speak to our users. Just last week, I was in Melbourne, Australia. I had to speak at a couple of User Conferences. Those are great events to get to meet so many users from different perspectives, different backgrounds who are interested in visual marketing and analytics and hearing their stories and their pain points and things what they love and things that they don’t. I get to take all of that user experience and feedback and come back to our product and engineering teams and say: “Hey! I have a lot of experience in this area and these are my personal thoughts.” But then on top of that, these are all of the amazing stories that I have heard from our users. Here’s how I think that we can take that feedback and make our product better. So I guess it’s kind of our job but I’m blessed to constantly be learning from everybody else. I get paid to do that and it’s really awesome. Jeff Sauer: Yes and I like that you also blog right? That’s your own material and you’re sharing knowledge with people in that too. So I think that even having a blog is I considered a very valuable resource because there’s a lot to learn. Jeff Sauer: I can attest that Google does listen. I mean they listen very well. Sometimes I’m a little outspoken with the things that I say but almost always, Google listens or at least has empathy for the users and knows that these are things that we want to solve. Some of these problems, I mean we’re talking about the biggest of big data. So you hear the word: “Big data; Google Analytics your product in particular is the biggest, right?” It’s the most data that anybody collects and I believe in the world because of the number of users of the product. Keep that in mind that Google is working to make changes. Some changes are just aren’t as easy as others are. Krista Seiden: Yes, it’s true. But we’re definitely working on it. Like I said, getting to hear that feedback constantly from our users and taking it back to our product team just makes it that much I think cooler if I can use that word there to see kind of that impact directly from users to product. Jeff Sauer: ‘Cool’ is a great word for it because there’s been times where I’ve talked to somebody at Google about a feature or something and then to see it implemented, it is the coolest thing. It’s almost surreal to see that-that impact can come from individuals or users with their product that the Google team is dedicated to improving it. All right, so I think we’re running out of time here. So I just wanted to ask one last question and that is: “What advice do you have for a new marketer?” Somebody who’s looking to get in here, maybe somebody who is starting out, graduating without a marketing degree and wants to get into this industry maybe like you were? Krista Seiden: So I think that’s a great question. I know that I have mentioned that several times but I can’t stress enough how important I think it is to find mentors in the industry. Again, they don’t have to know that they are your mentor. I’ll give you a couple of examples. The job that I have now being an analytics advocate for Google Analytics is actually a job that I wanted and aspire to pretty much the whole time I have been in analytics. So right from the get-go, I started following and listening and reading the people who are in these types of roles. So I’ve been nostalgic in my current boss Justin Cutroni. When I came to Google, I will never forget this. My very first week, I Google – I guess it was my second week at Google. I was in Boston to speak at E Metrics and Justin Cutroni was also there speaking up the same conference. This is when I had gone to come in Google Apps for business team and he sees me and he sits me down. He says a couple of things to me. That was so cool for me because up until that point, he had been this person who I had seen as a potential mentor of mine and somebody that I had followed and learned from over the years. He was kind of there and real life and fast forward two years later, I ended up going to work for him in the current role that I have. So I really do think that mentorship from kind of start to finish being having that aspiration and learning from those people from afar and then as you can get closer to them and draw them in as actual mentors is such a great way to help you build a career. I think for people who are just starting out, there’s a lot of ways that you can find those mentors. So first, there’s Twitter and blogs. There’s a lot of list out there. Jeff, I’m sure you have a robust list of people that your listeners can go ahead and look to and follow and learn from. But also there’s things like the analysis exchange which is a really great effort to pair somebody new to the industry who’s looking to learn with somebody who is a veteran and is willing to share their skill set and teach along with a non-profit and together. They do a project for the non-profit focused around products in digital marketing to help that mentee learn and get into the industry well, helping the non-profit really get a leg. Have fun whatever but they were trying to accomplish. So I think there are a lot of opportunities but for me, it really all comes back to mentorship. Jeff Sauer: That’s great. That’s perfect advice to close on because I think that’s absolutely true is that: “Finding mentors and like you said, it doesn’t have to be somebody where you e-mail every single person in the phone book or in the e-mail directory and say – can you be my mentor?” Sometimes it’s just men leading by example, learning things and getting experience there. Then when the time comes after you’ve followed them for a certain amount of time where you’ve followed them on Twitter or interacted on Twitter those types of things – there’s opportunities that you come to meet them whether it’s at a conference, whether it’s in person, a new structure or something those lines. Usually these relationships are cultivated over a long period of time and just take a lot of experience and a lot of goodwill to get to that point. But then once that person becomes either a mentor a peer depending on where you are, a lot of opportunities do open up and that’s really an important piece to this. It’s talking a lot of. The reason why Kristen and I are talking right now is because we were able to meet each other. We met at a conference randomly and we’ve had our friendship ever since. Now mutual respect and now, we’re talking about this type of experience. This would have been a lot harder for me to talk to Krista if I hadn’t met her in person. If we haven’t established that rapport beforehand and that’s really the important thing here is we all need to do. Jeff Sauer: Excellent! Well, thanks for joining us today Krista. I really enjoyed hearing your story. It’s really fascinating and also inspiring. I’m inspired. Actually, it makes me thing that I need to do a few more things myself because of watching how excellent you’ve done at everything you’ve done. So you’re really an inspiring story and I hope that everybody else enjoyed it as well. Krista Seiden: Thank you so much. I really appreciate you having me on. I’m honored to be able to share my story with you. Jeff Sauer: Well, there we have it Krista’s story. It’s inspiring, isn’t it? I hope you came way as impress as I was. Keep an eye out for Krista in the future whether be it in analytics, politics or whatever path she decides to take. I know she’s going to be successful. To view all of our show notes from today’s podcast, visit www.Jeffalytics.com/Krista. There you can learn how to subscribe to the podcast. Leave a review or comment on something that you’ve found interesting. Thank you.